La Liga (also known as Spanish Primera Division) is one of the best and most exciting football leagues in the world. In fact, the Primera Division is currently ranked second in Europe according to UEFA. In addition, with an average attendance of nearly 30,000 spectators per match, the Spanish Liga is one of the most popular professional sports leagues in the world. Two of the best teams in the world are competiting every year for the La Liga title: Real Madrid & FC Barcelona. Buy Spanish football tickets now and watch the best players of the world live in action. For more than sixty years the two football giants Real Madrid and Barcelona have dominated the Spanish Liga championship. Real Madrid has won the Liga title an impressive 33 times and FC Barcelona 25 times. Other teams that have won the Primera Division in the past are Atlético Madrid, Athletic Bilbao, Valencia, Sevilla, Deportivo, Real Sociedad and Real Betis. This year, Real Madrid and Barcelona will once again compete with each other to win the title. The battle between Barcelona and Real Madrid is also the battle between the two best players of the world Lionel Messi and Cristiano Ronaldo. The past eight years it was always one of those two players who won the title for best player in the world by Fifa. Buy Real Madrid tickets, FC Barcelona tickets and Atletico Madrid tickets or other team tickets now and see world's best football players alive! Not only we have tickets available for Primera Division La Liga matches, but also we offer Copa del Rey tickets and tickets for the Spanish national football team and Champions League Final tickets. All ticket orders are 100% guaranteed. 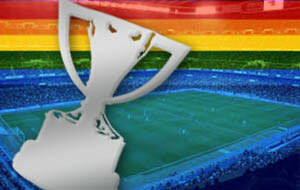 1st4FootballTickets.com has the very best Spanish football tickets for La Liga matches – both home and away. Fc Barcelona are the current La Liga Champions after winning the 2017 - 2018 trophy! Superstar Spain footballers playing in the 2018/2019 La Liga serve up a veritable footballing feast for fans. Buy tickets for the Spanish Primera Division to watch Cristiano Ronaldo, Lionel Messi, Ivan Rakitic, Coutinho, Antoine Griezmann, Aritz Aduriz, Gareth Bale, Luis Suarez and Karim Benzema in live action. La Liga has a loyal, enthusiastic fan base in Spain and abroad that fully supports their favorite Spanish first division sides. All twenty of the big football clubs in the Spain La Liga have ardent supporters who attend home fixtures and travel to other cities to cheer for their beloved clubs and favorite players! Join in the fun and sit with other fans – enjoy the mouth-watering La Liga matches! You can buy La Liga tickets at 1st4FootballTickets.com securely online - or you can call our football ticket hotline @ UK TEL: 0871 284 5277! Barcelona, Real Madrid, Valencia and Atlético Madrid are all in contention for the Spanish league title.